It’s easy to make plan after plan that you hope to be able to follow, but sometimes life gets in the way of these things. You might be dreaming about traveling the world after college graduation, launching a small business or simply getting a high paying job in a corporate office and moving quickly up the ladder, and while dreams are nice to have, it’s also important to realize that life doesn’t always go to plan. 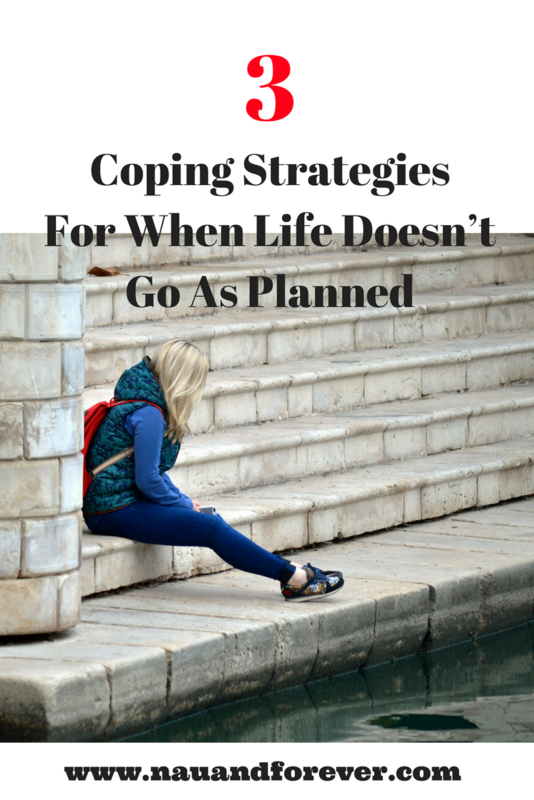 Do you have the coping strategies to deal with these unexpected events? When things go awry and your life plan has to change as a result, knowing how to cope can be a little tricky. That being said, while it can sometimes be hard to know how to cope when things don’t go the way that you hoped they would do, there are plenty of strategies that you can utilize to ensure that you are able to cope, regardless of what life throws at you. Wondering what these strategies are? Read on for a guide to all of the best coping strategies for when life goes a little off the rails. When something in your life goes in a way that you didn’t expect, it’s easy to feel like the world has ended. Whether it’s a college paper that’s got a bad grade, you’ve lost your job, or you’ve been injured or become unwell, it can be hard to see past what’s going on in your life. However, you need to realize that just because something bad has happened, that doesn’t mean the world stops turning. It can be hard to cope but you can’t shut yourself away and pretend that nothing is happening – whatever the issue is you need to face it head-on. If you actually accept the situation at hand, you will find coping far easier. The key to coping with an upsetting situation is getting a sense of perspective. Don’t look at the situation from your own eyes, try to look at it from another person’s perspective – ideally someone who is objective. Ask yourself what advice you would give someone else if they were in your shoes. Think about this advice and use it to help get your life back on track. For example, say a friend told you that they’d suffered a serious accident resulting in a serious injury and were struggling to cope with the implications of that. Ask yourself what you would suggest that they do – stay at home and bury their head in the sand or take action, consult a lawyer, make a claim, and read this site about doing so? Actions speak louder than words, so when it comes to coping with a bad situation, you need to take action. The best thing that you can do is put a plan of action into place – whatever the situation is, having a plan of action in place will give you guidelines to follow to help you get things back on track, which is important when it comes to making changes to the way in which you’re feeling and your mental health and wellbeing in regards to the situation at hand. When you have something to guide you in terms of what you should be doing to move forward, it can be extremely helpful. Life isn’t always easy and sometimes you end up in a situation that you never thought you would be in. With the right mindset and approach, you can get through anything and ensure that you get your life back on track. There are going to be times when you hit bumps in life. You will need to know coping strategies that will help you move on quicker. Having the right mindset will definitely benefit you too. Check out these 5 mindset tips!